Nippon Cargo Airlines jets at Doncaster Sheffield Airport. Sheffield City Region’s top two business leaders have signed an open letter pledging to make every effort to support Doncaster Sheffield Airport. Sir Nigel Knowles and Richard Wright - who represent 52,000 companies - have vowed to think DSA first, encourage others to use it and promote and spread the word whenever they can. And they are urging others to sign up, to show airlines and investors the scale of support. Signatures are being gathered by The Star’s Business Editor David Walsh as part of the paper’s campaign to promote Doncaster Sheffield Airport. Sir Nigel Knowles, chair of the Local Enterprise Partnership, the business body for Sheffield City Region, said: “I support Doncaster Sheffield Airport, which is why I am promoting it this week at the world’s biggest property event. “The site, which accommodated over one million passengers last year, is a major part of the LEP’s strategic plan to grow the economy and create more and better jobs. “I encourage businesses and residents across Sheffield City Region to take pride in our fast-growing airport and embrace the opportunity to get to their destinations more conveniently and more quickly than ever before thanks to its new link road. “As it continues to grow, it will transform local lives as residents and business travellers travel to more destinations and spread the word about our super-connected region. 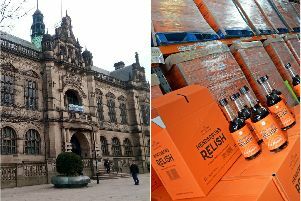 Richard Wright, executive director of Sheffield Chamber, echoed Sir Nigel’s comments and said he would distribute the letter to members. It states: ‘We give our backing to the development of Doncaster Sheffield Airport and recognise its importance to the City Region and our role in accelerating its growth. Some 30 people have already signed the letter after it was posted on David Walsh’s LinkedIn page. Roger Koukkoullis, of the Airport Operators’ Association, said: “We produced a report demonstrating the value of regional airports. The UK Government also recognises this and statements by ministers have been made to this effect. ​To support Doncaster Sheffield Airport, use it. * Ask other airlines to fly into DSA.